It’s a cliché that sixties music means so much, but sitting amongst the audience of Cilla the Musical it’s easy to believe. The audience sings along and applauds with gusto after each number as if they were in The Cavern in Liverpool itself rather then The Grand Theatre in Leeds. Cilla Black – Surprise Surprise, Blind Date, ‘Ta-ra Chuck!’ Before that there was Priscilla White and struggles and dreams. It’s a fairytale story! Cilla the Musical follows the singer’s early attempts at performing live (alongside her mates The Beatles) to 1967 when her long-running popular BBC TV show Cilla (no surname required) was launched. Kara Lily Hayworth’s performance is transformation itself: her mannerisms, her accent, her bearing. She is Cilla Black, knocking down the barriers between the stage and the audience, much like Cilla did herself, and we are all in it together. But it’s her singing which elevates the show into something very special indeed, adjusting her voice for “nerves’ when failing an audition, performing take after take in the studio until the she nails it and blows us away. Bacharach and David’s Anyone Who Had a Heart has the audience misty eyed. Hayworth is vulnerable and brave, prepared to take risks with her singing voice as well as in her portrayal of Cilla. Everything – costume and setting, dialogue and that infamous Liverpudlian sense of humour – feels authentic. Early on, Cilla’s goal for stardom is to be able to afford a house with “an indoor toilet” – no mean feat in Britain in 1963. 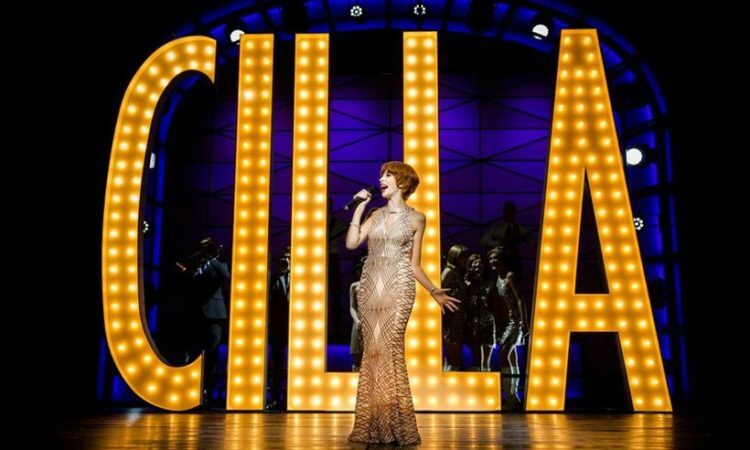 The performances are universally outstanding, but it’s Cilla we’ve come to see – or more importantly, to hear! Cilla the Musical is believable, poignant and brilliant. Above all it’s fun! Can YOU imagine introducing Danny la Rue to your da..? Cilla the Musical is at Leeds Grand Theatre until 20th October. Tickets here. Previous Post:DEBATE | Between City Censor and Citizen Censors … Who’ll Defend Debate?